Choon James: Keep Public Land in Public Hands! 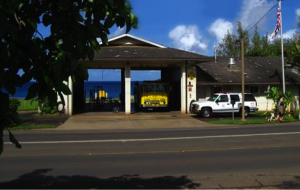 On January 11, 2017, the City and County of Honolulu City Council Budget Committee will consider Resolution 16-321 to sell a portion of Kahalu’u Regional Park. It’s the 20,957 sq. ft. Zoned B-1 Lot close to the Kahalu’u Hygienic Store. The Subject Lot is identified with a yellow pin in the above photo. As a matter of good public policy, we oppose this short-sighted trend to sell public lands. 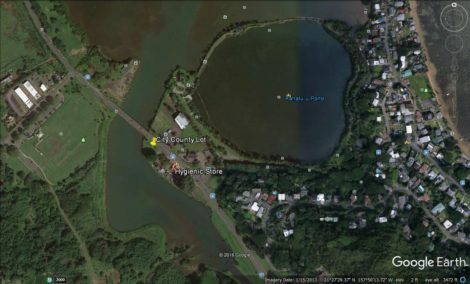 It may make sense to sell vestigial tiny strips of “remnant” land that are awkwardly located to adjacent owners but continuing to sell significant-sized land parcels is selling the inheritance of Oahu’s future generations. As this island becomes more congested, open space and community parks and land for public purposes will become more valuable and imperative, not less. This proposed sale is not in the interest of the inhabitants of Oahu. What really is rationale behind proposing and recommending the sale of this unique parcel? We see no logical or compelling reasons given beside invoking the ordinances that allow such an action. Who was the certified appraiser who valued this? How will the sealed bidding process be advertised to the public and conducted? What are the financing and purchase criteria? When will the public be provided detailed information about this sealed bidding process? 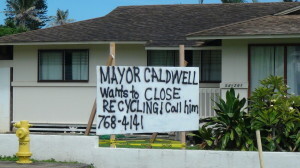 How can the public be assured that this Business -1 parcel is not already spoken for by friends of Mayor Kirk Caldwell? Will the public be allowed as public observers at this sealed bid opening to ensure transparency? How does this make fiscal or good policy for our island home? Why sell a piece of public park land to buy another property for a park or recreational purposes? Where and for what recreational purposes? This Subject Lot has been a park where locals go crabbing or just enjoy the open space and rural views. 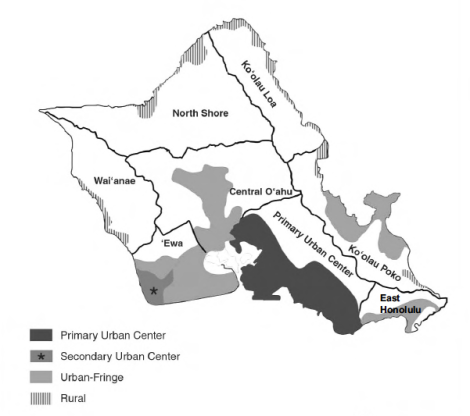 We are not convinced that selling public land in order for proceeds to be expended elsewhere is fiscally prudent or in the best interest for the inhabitants of Oahu. Wouldn’t it make more sense for Mayor Caldwell to be more efficient and prudent in his fiscal management of the city’s treasury? A case in point: Why spend $1.2 Million to hire a mainland consultant from New York for the Ala Moana Park? Many locals ended up being irritated by Mayor Caldwell forgetting that Ala Moana Park is heavily used by locals. 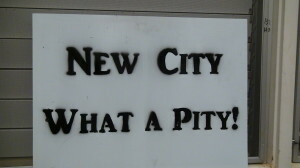 The garish suggestions that lacked “sense of place” suggested by out-of-state experts ended up wasting precious funds. Adding to the above questions, the definition of “remnant” properties and its implementation are arbitrary and loosely used with no big-picture public good governance for Oahu. 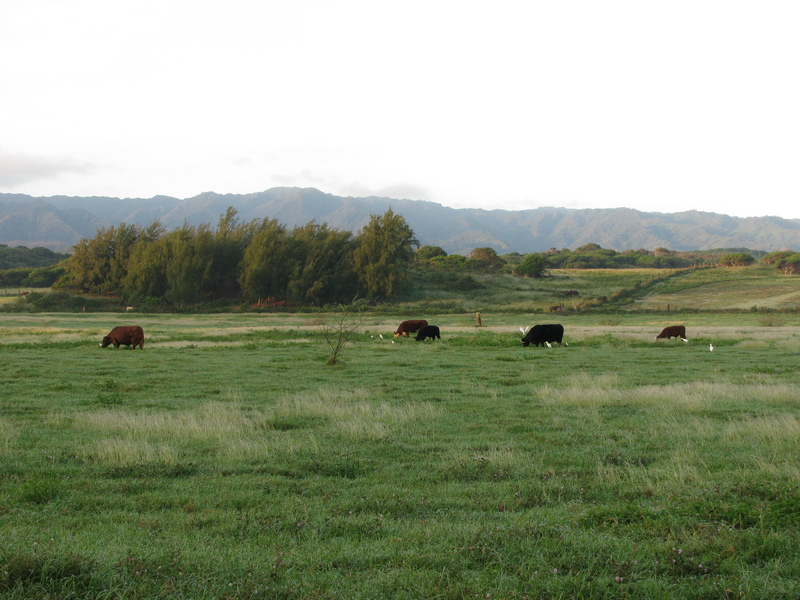 Example: The 3.4 acres Haleiwa Mauka Park can hardly be considered a “remnant”. 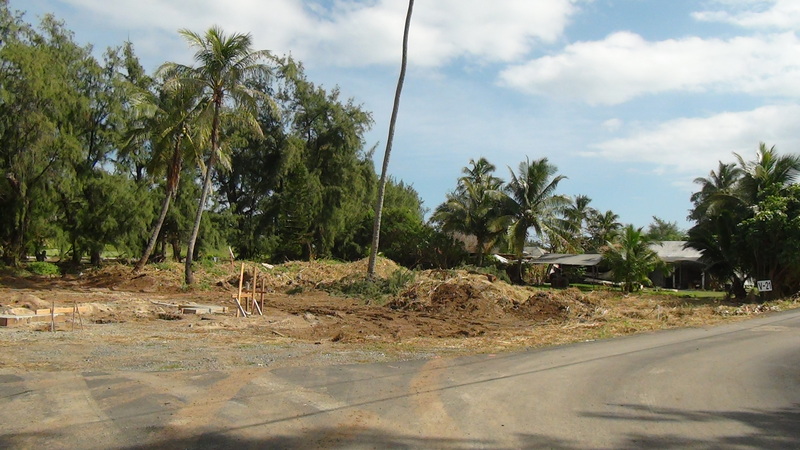 Yet, the City & County of Honolulu negotiated with Developer Andy Anderson on the 3.4 acres of land mauka of Kamehameha Highway across from the Haleiwa Regional Beach Park and northeast of Jameson’s Restaurant for Anderson’s planned hotel development. Citizens were able to preserve this public land in public hands with the assistance of City Council Chair Ernie Martin, Budget Chair Ann Kobayashi and other Council members. Ironically, funds allocated to this area’s improvement have been in limbo for years and not expended by Mayor Caldwell. 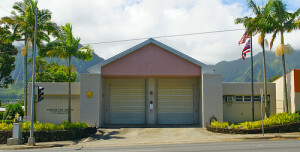 Without question, the Kahalu’u Subject Lot of 20,957 sq. ft. Zoned B-1 cannot be considered as “remnant” land either. Residents use this park land for crabbing, fishing, simple enjoyment of the outdoors and the views and so forth. It’s important to note that the opportunities for commercializing this subject lot are significant. Structures can be built up to 40 feet (3-story) with mixed business and residential uses. Depending on the flood elevation, structures could be higher than 40 feet from ground up. 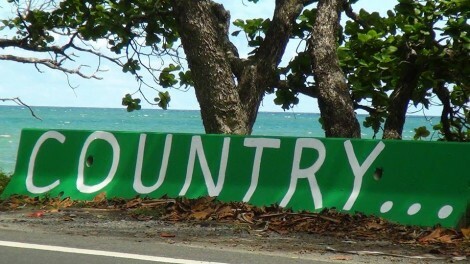 This unique Kahalu’u location is also the gateway to the rural “Keep the Country Country” region. Views of Ko’olau mountains from Subject Lot. Photo by Harry Honda. Is it in the best interest of the Oahu General Plan to expand urban sprawl into the country? 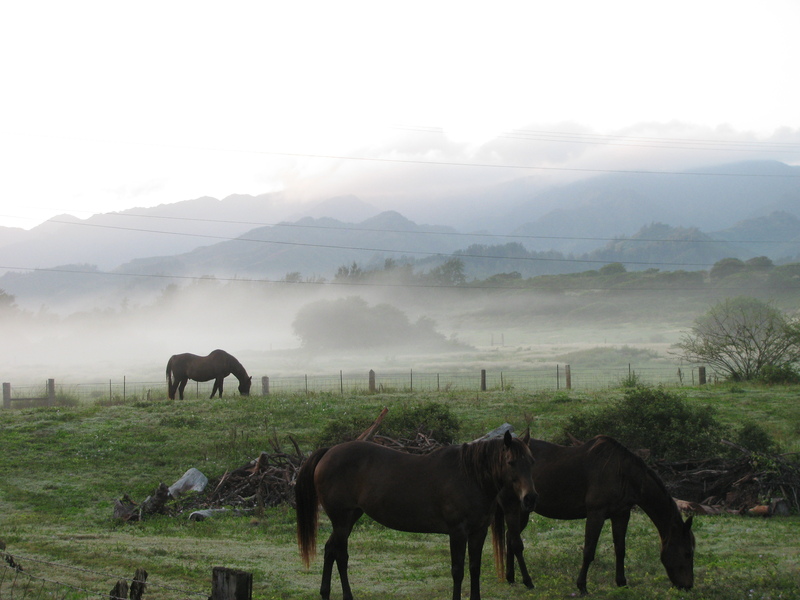 Will it undermine the rural golden goose that tourists love so much? Has the city consulted with the affected communities about this proposed sale and seek their input on the best use of this parcel? Will the public be allowed to share their mana’o on how this Lot could be used for the enjoyment and benefit of its inhabitants? The Kahalu’u Neighborhood Board #29 will discuss this Resolution in their 7:00 pm Regular Meeting at Key Project on January 11, 2017. How people respond to criticism can reveal a lot about their character. Some might try to debate or reason with those they disagree with. Others prefer to ignore critics. 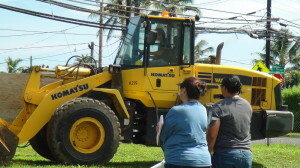 City officials in Honolulu take a different approach: They use a bulldozer. Choon James is a successful real estate broker with over two decades of experience in Hawaii. 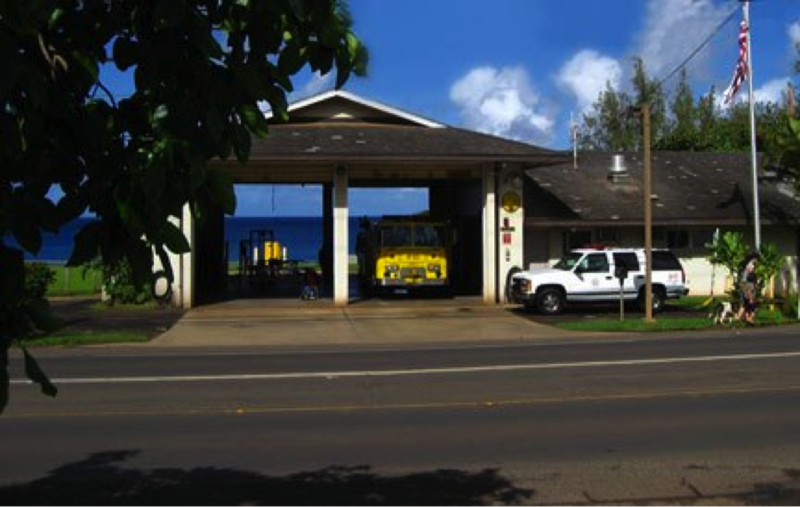 But the city of Honolulu is seeking to seize property she’s owned for almost a decade to build what she calls a “super-sized” fire station in rural Hauula. 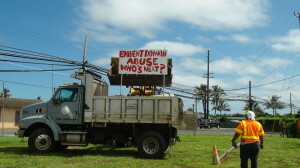 Since January 2010, she has put up signs to protest Honolulu’s use of eminent domain. 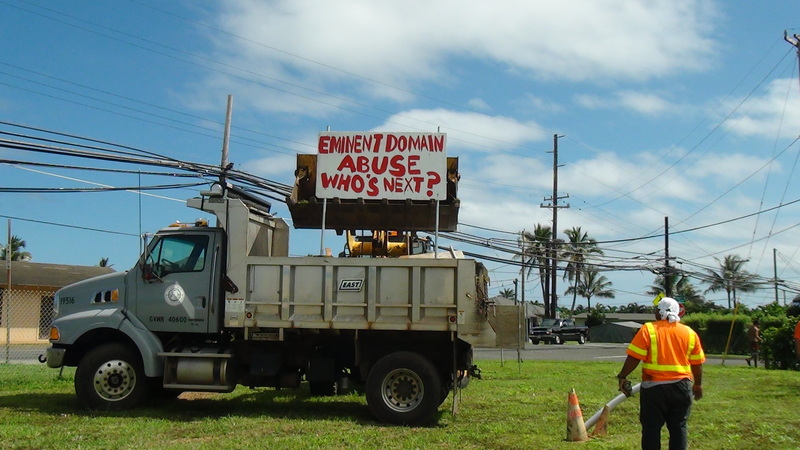 These signs declare “Eminent Domain Abuse: Who’s Next?” and “YouTube Eminent Domain Abuse—Hawaii.” For more than three years these signs have been up without any incident. 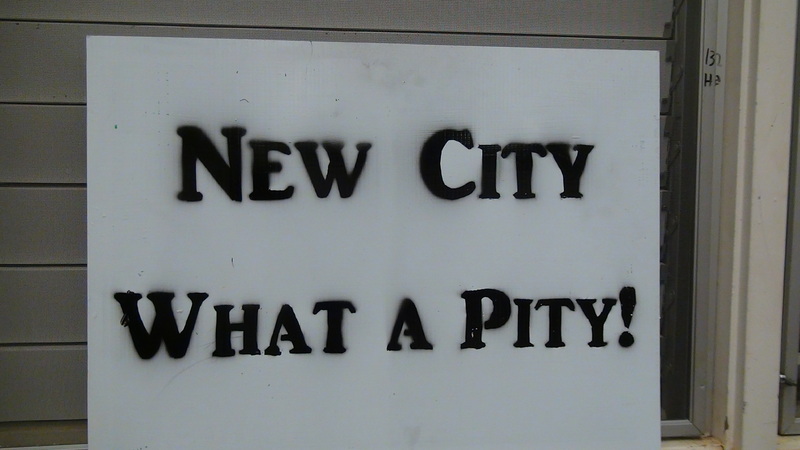 But now the city is showing a callous disregard for Choon’s freedom of speech. 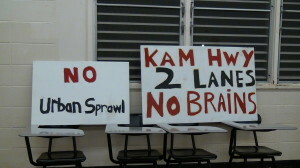 Back in May, Honolulu seized two of her eminent domain protest signs. Without her consent, city employees went onto the property and seized and impounded her signs before damaging them. 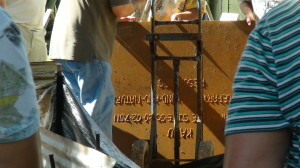 Even worse, the city slapped her with a notice for trespassing, for property she is trying to defend in court. After these signs were torn down, Choon placed three more signs there. These lasted just a few months before the city once again seized the signs. This time, Honolulu was much more dramatic. 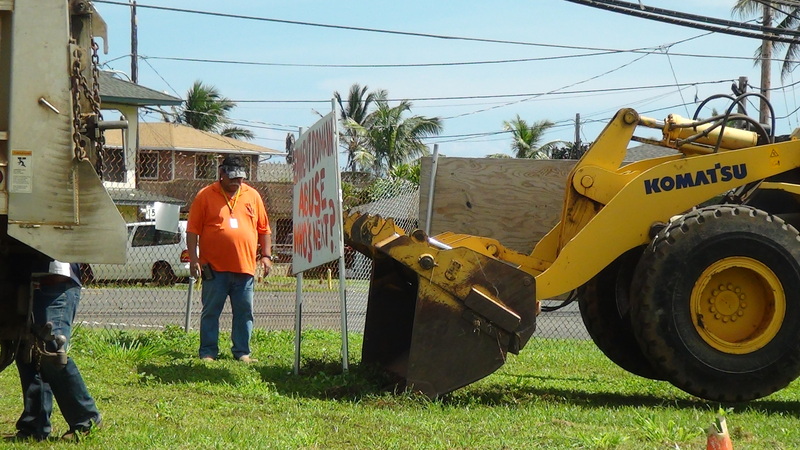 On October 18, city workers, backed by police officers, squad cars and a bulldozer, came by and literally bulldozed those protest signs. The city’s actions show a shameful lack of respect for the First and Fourth Amendments. Citizens have a right to protest government actions. The First Amendment was enacted precisely to protect citizens who criticize the government from retaliation. Lawsuits challenging Honolulu’s unreasonable seizures and chilling attacks on free speech are now pending in federal court. 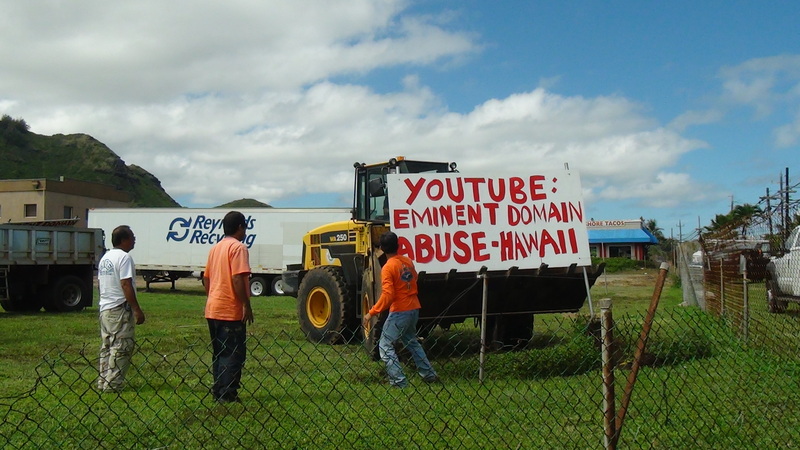 Unfortunately, Honolulu is not alone in trying to silence critics who question eminent domain. The Institute for Justice has represented citizens in St. Louis, Mo., Norfolk, Va., Tennessee, and Texas who protested abusive property seizures and faced censorship. Out of these four cases, IJ successfully defended free speech in three cases, while the fourth is currently in litigation. After 24 of his buildings were taken by St. Louis, Jim Roos painted a giant mural on a building he owned advocating “End Eminent Domain Abuse.” But St. Louis labeled the mural an “illegal sign” and wanted to force Jim to remove the sign (and stifle his right to protest) or face code violations. He teamed up with the Institute for Justice and sued the city. In a major win for the First Amendment, in July 2011, the Eighth U.S. Circuit Court of Appeals ruled in favor of Jim and allowed the mural to stay up. In a similar vein, IJ has defended grassroots activists from a frivolous defamation lawsuit and protected an investigative journalist’s right to free speech from a vindictive private developer. More recently, the Institute for Justice is suing the city of Norfolk for trying to squash a small business owner’s eminent domain protest sign. The Central Radio Company, a repair shop, has been in Norfolk for almost eight decades. But Norfolk had plans to seize the property with eminent domain for a private redevelopment project. 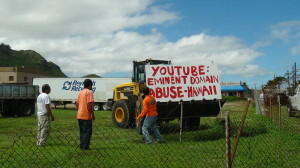 To protest, owner Bob Wilson displayed a huge banner on-site. 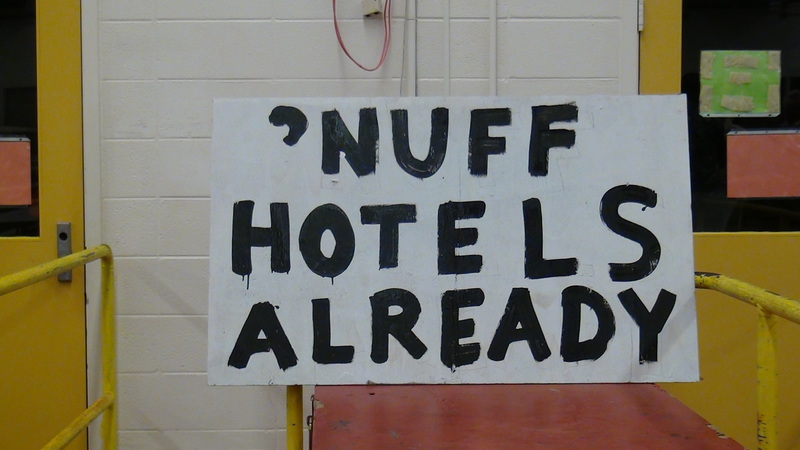 The city responded by telling Bob he had to take down the sign or face fines of up to $1,000 per day. Fortunately, the Virginia Supreme Court unanimously struck down the city’s attempt to seize Bob’s land; his free speech case is still infederal court. As the cases make clear, courts routinely respect Americans’ First Amendment rights. Honolulu should do the same. 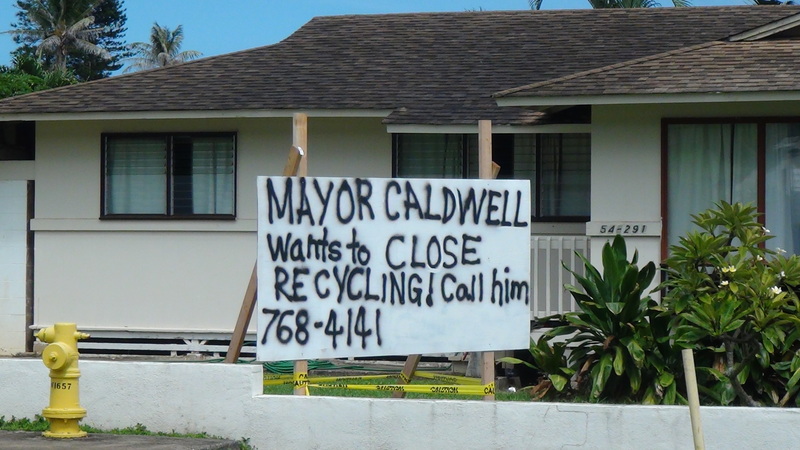 Postscript: Mayor Kirk Caldwell also shut down the owner’s business with Reynolds Recycling on October 21, 2013. 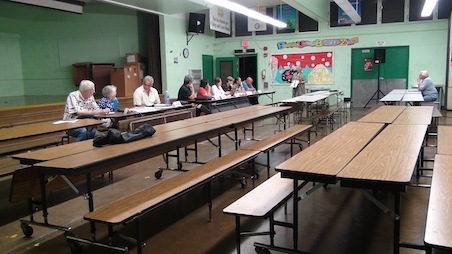 Public push back forced the Mayor to cut a deal with Reynolds to return to the adjacent city Lot 64 on December 20, 2013. The Caldwell Administration did not disclose that it is on a month-to-month lease. Should the Mayor gets permission from the courts to condemn, the last two commercial zone lots will be decimated and recycling business gone. 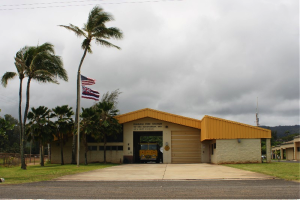 The only valid reason for Mayor Kirk Caldwell to shove this extra expensive fire station onto this small rural community is he owes a plum building contract to a donor! 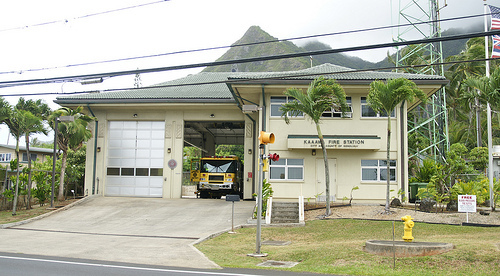 The Mayor wants to build a huge Kapolei City station in the small rural town of Hauula. 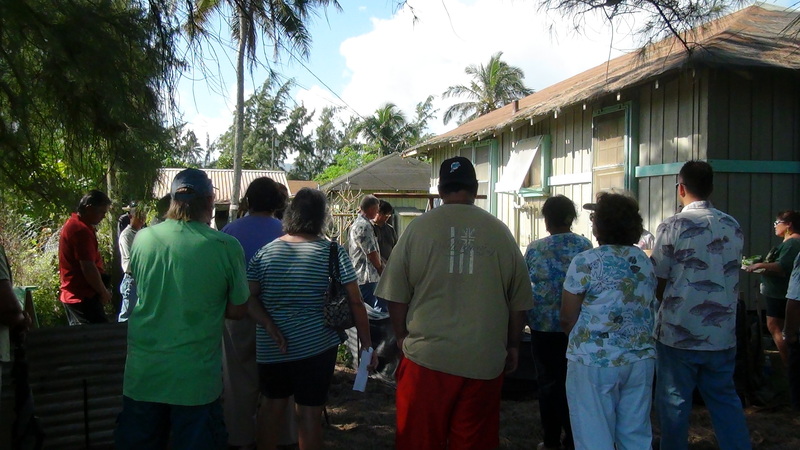 On January 11, 2014, a group of Kahuku Plantation Camp residents witnessed the re-internment of ‘iwi kupuna’ that were found in the grounds around the decades-old plantation homes. 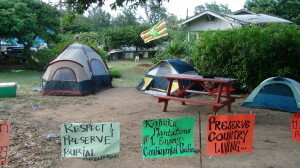 Landowner Continental Pacific, LLC handling of the ‘iwi kupuna’ cultural and other procedures had precipitated controversies. 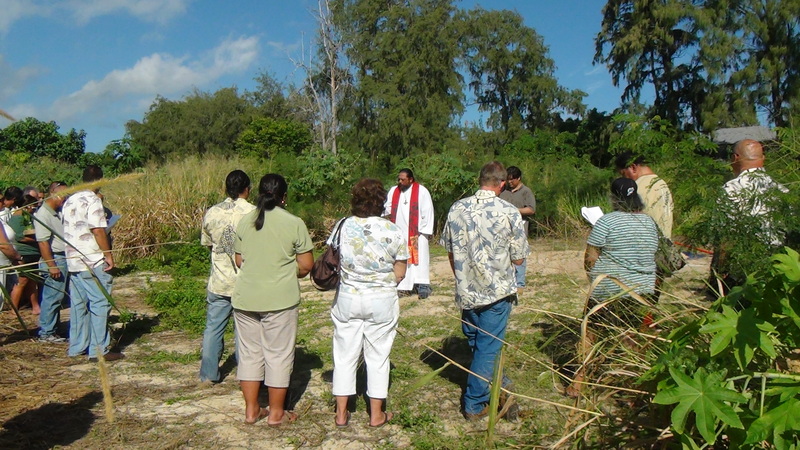 The two governmental agencies charged to address and regulate ‘iwi kupuna’ issues are 1) The State Historic Preservation Division (SHPD) that falls in under the jurisdiction of the Department of Land and Natural Resources ( DLNR) and 2) The Oahu Island Burial Council (OIBC). 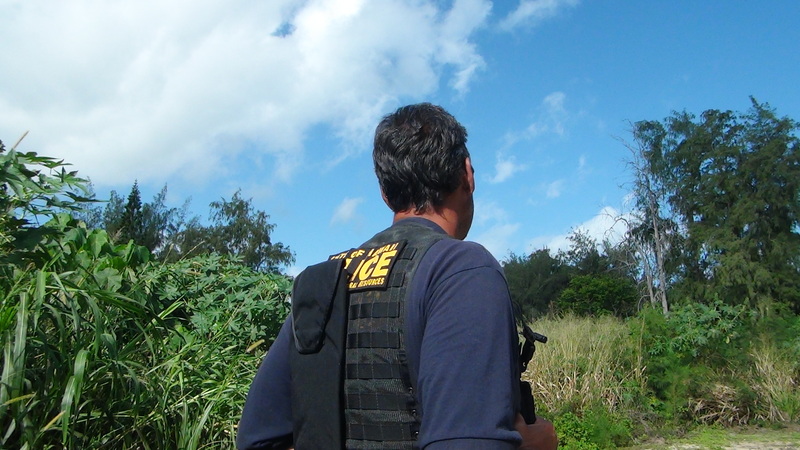 There was a DLNR ranger in uniform and also a DLNR uniformed policeman in attendance. 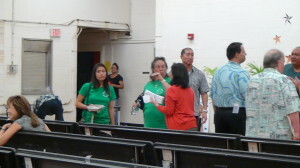 Kali Fermantez, a recently appointed member of the Oahu Island Burial Council was also in attendance. 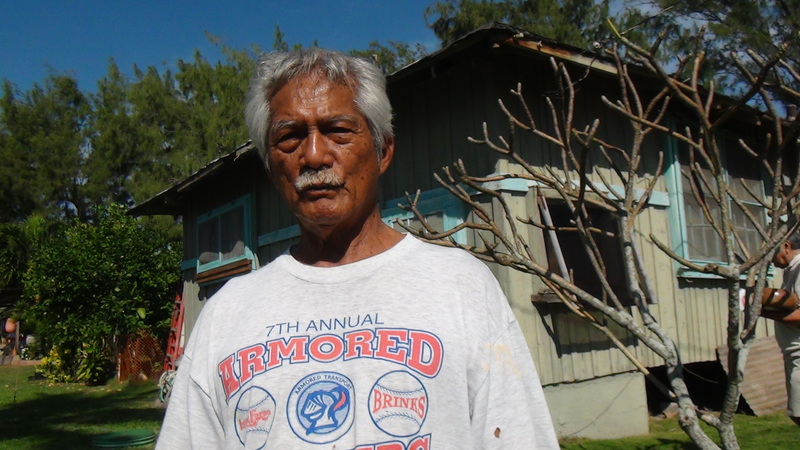 He spoke a few words at the first ceremony focusing on respect for the ‘iwi kupuna’ and forgiveness despite the ‘pilikia’ surrounding the Kahuku Plantation Camp. We later asked permission to video tape our questions and his responses regarding procedures but he declined, explaining he was a very private person. His wish was respected. After the first re-internment ceremony, Kahuku villagers walked to the next re-internment ceremony at Simplicio Caban’s home. ‘Iwi Kupuna’ human remains were found next to his house when water pipe trenching was being done. Villagers gathered around in reverence as the second re-internment ceremony (abbreviated this time) was conducted. 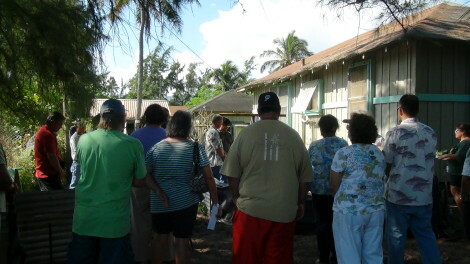 Kawika Farm from SHPD held the second set of ‘iwi kupuna’ at the Saturday’s re-internment ceremonies. 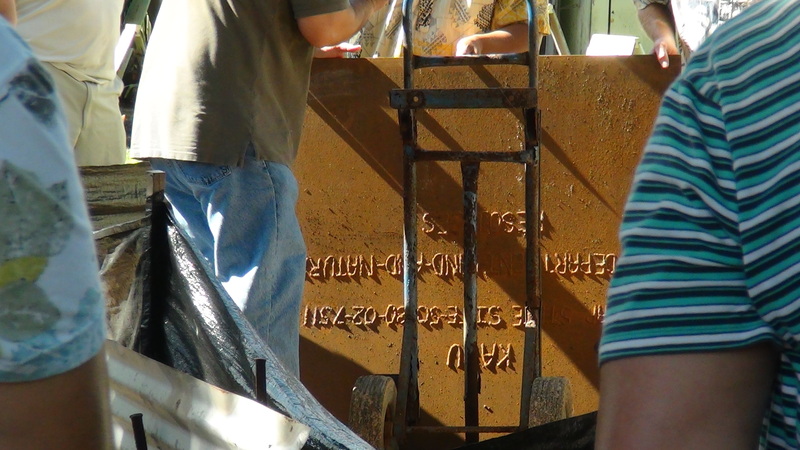 This metal plate was provided by SHPD as a marker as well as a caution for future encounters with trenching in the area. The metal plate should help reveal the significance of this site, according to Farm from SHPD. The fresh sand covered SHPD’s metal plate. They said it would be leveled and finalized later. On this day, the dead may appear to be put to rest but the living are forced to fight on. 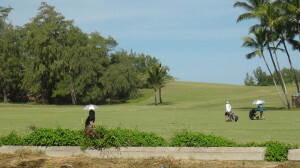 While the ceremonies were going on at the mauka side of the Kahuku Plantation Camp, golfers can be seen at the 122-acre Kahuku “Municipal” Golf Course on the makai side. The iconic beachfront course is also undergoing a watershed transformation; it’s on the verge of being sold to a Chinese investor. Residents worry that the course could be transformed into another resort-residential subdivision or an expensive golf course that the public can no longer afford. In the meanwhile, the above Condominium Spatial Unit V- 21 has been cleared and footings can be seen for a new house. 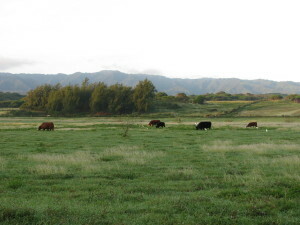 This spatial unit is located next to Kahuku Village Plantation Association President Glen Maghanoy’s former plantation home in the background. Maghanoy‘s eviction was approved by Judge Hillary Gangnes. Professional movers completed the Maghanoy eviction during the Thanksgiving of 2013. 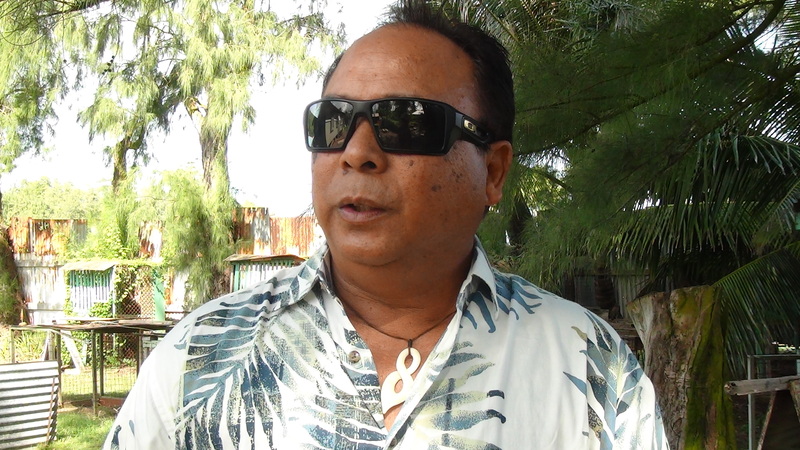 Maghanoy was on the mainland visiting with his daughter and claimed that valuable items were stolen from him, including his guitars, tool box, about $3,000 cash (hidden inside the house), and his children’s deceased mom’s black pearl jewelry. Because Maghanoy was not present at the execution of the Writ of Possession by the movers, he could not take pictures of the event. Neighbors had signed declaration of seeing the guitars being laid on the grounds; in fact, one of the movers was playing Maghanoy’s ukulele. 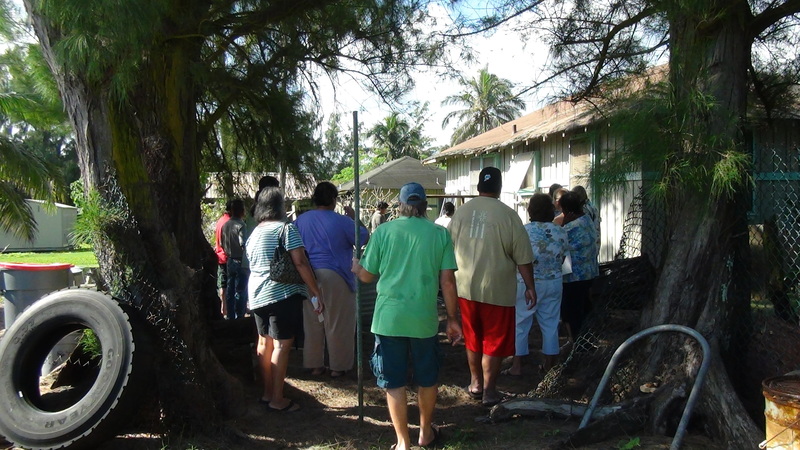 The day’s re-internment ceremonies focused on respect for the ‘iwi kupuna’ along with messages of forgiveness. 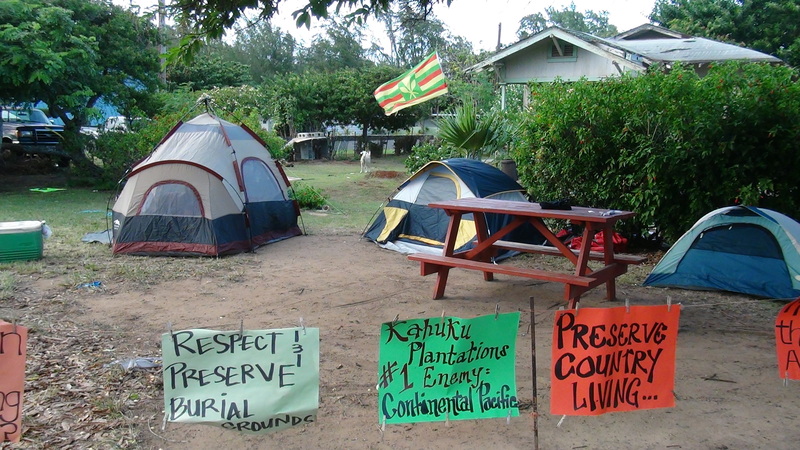 However, to many Kahuku Plantation Village residents, ‘forgiveness’ cannot be used as a convenient tool for Continental Pacific, LLC and its affiliates to absolve themselves of past wrongs and continuing pilikia that surround the camp. 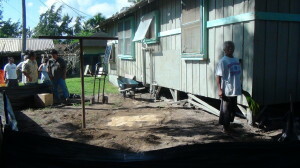 About thirty-one (31) long time plantation camp families are in danger of being evicted. 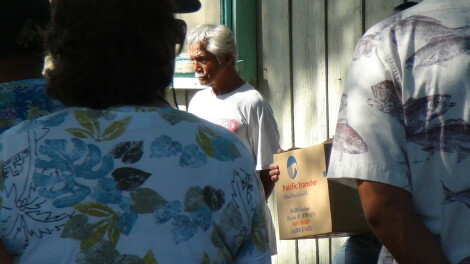 Glen Maghanoy and the Eugenio family were the first in line to be evicted. 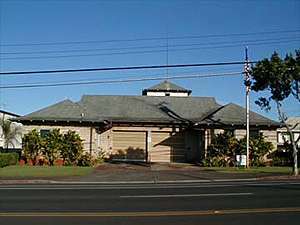 “City Hall is coming to Ko’olauloa Nov. 19 when the mayor brings his cabinet to Kahuku High School cafeteria for a town hall meeting. 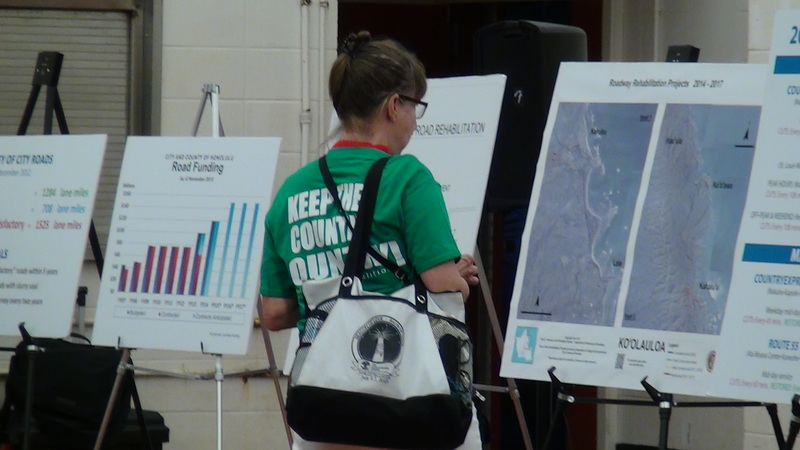 The event will run from 6 to 8 p.m. and is designed to address area residents’ concerns about road and sewer infrastructure, bus service, park maintenance and events, efforts to tackle the homelessness problem and more. 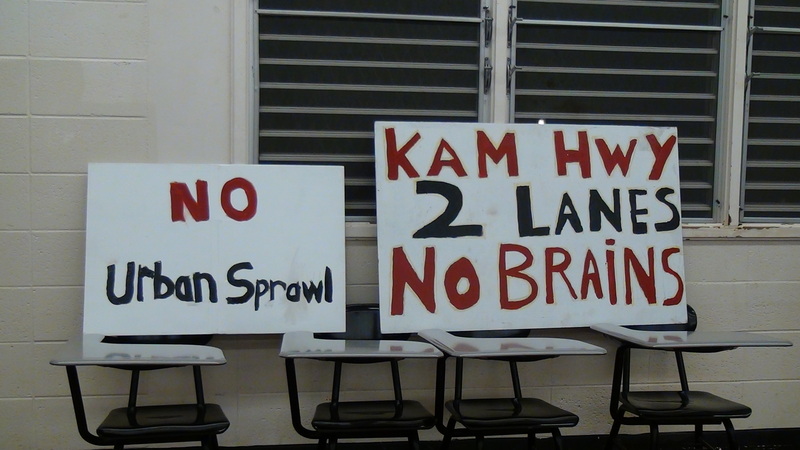 The Kahuku Town Hall Meeting was met with a protest outside the Kahuku High School by citizens against Caldwell’s agenda to cement the Country. But the Mayor’s televised show did not disclose any of that. About half of those in attendance were his cabinet members and city employees. The first four rows of the Kahuku High School cafeteria were occupied by his entourage who provided robust applause for the Mayor. 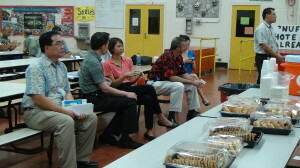 The middle section of the cafeteria was occupied by more of the Mayor’s entourage, with some refreshments spread out on the table. There were approximately 50 city employees. Others in attendance were recognized community activists and citizens. There was less than a handful of known Caldwell supporters. Steven Wheelwright – Brigham Young University-Hawaii President – and his wife were there for a short period. David Lewis, BYU-H Vice-President of Construction was a lone figure with his baby blue Envision Laie t-shirt. There were also policemen and several plainclothes policemen. 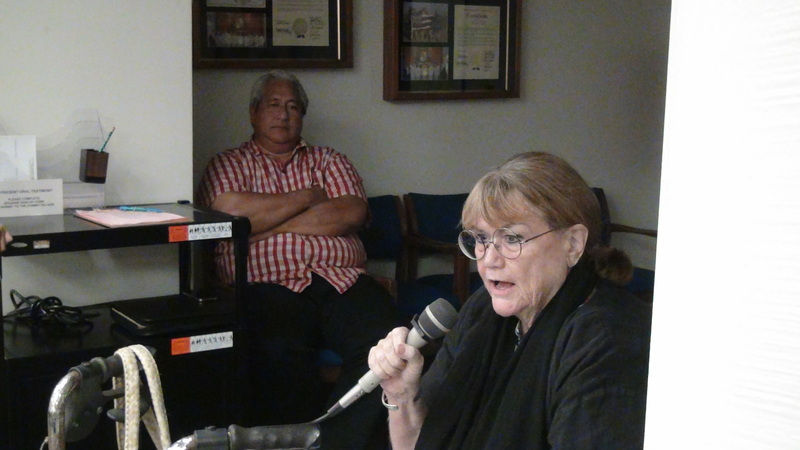 The Mayor used all the right words and pushed the right political buttons using his “Waipahu roots”, peppered with some pidginspeak, and he didn’t forget to remind the audience of his “compassion”. But his showmanship did not fool the astute citizens. Marisa Yamane and Joe Moore from Khon 2 TV reported a more accurate description of what happened at the Town Hall meeting with Mayor Kirk Caldwell. The meeting was tightly-controlled. There was no direct questioning. Those who wanted to “participate” had to write their questions on a piece of paper to be submitted to the mayor. They requested name, address and email address. 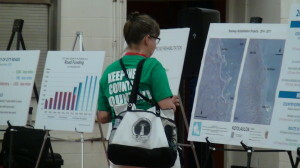 There was no opportunity for clarifications or rebuttal during this promotional tour that was on the city’s dime. Some found the music -“All Hawaii Stand Together” written by Uncle Liko Martin – used by Caldwell insulting and ironic. Mayor Kirk Caldwell has not met a development he does not like. 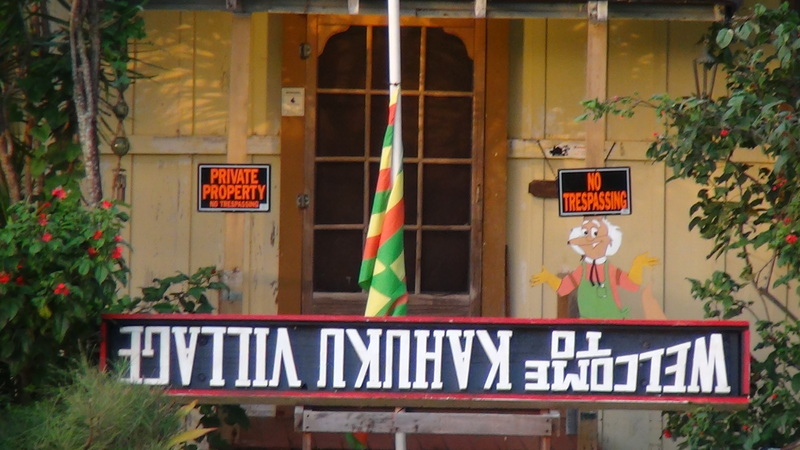 Hawaiians are up in arms against the disappearance of their inheritances, aina, values and culture. 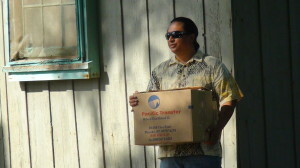 Ko’olauloa is one of very last regions that has some semblance of local lifestyle. Reality: The mayor’s entourage made up half the attendance. There were less than a dozen Caldwell supporters. 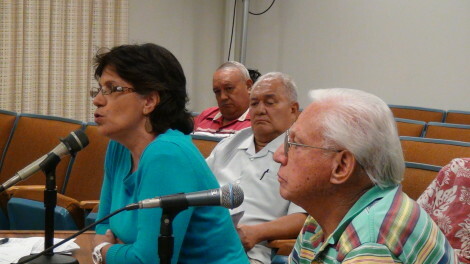 The rest were residents and Defend Oahu Coalition members who wanted an honest discussion, that never took place. Daysod interviewed former state lawmaker Bob Nakata who said, ” he supported the city’s transit-oriented development plan because it promised to confine large-scale construction to urban areas. But now he’s changing his mind. “This Malaekahana development will make Laie and Kahuku one big urban area,” said Nakata. 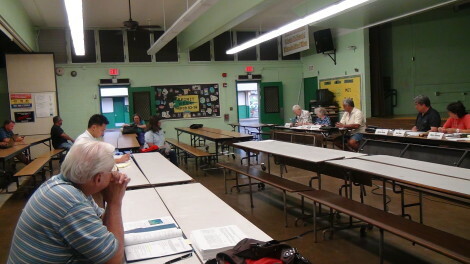 Hauula Resident Joshua Noga: Mayor Town Hall Meeting More of a Campaign Stop. 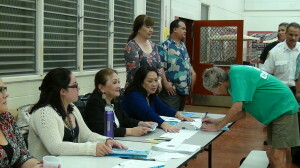 Last night Honolulu Mayor Kirk Caldwell came to Kahuku High School Cafeteria along with forty of his staff to meet with Ko’olau Loa residents in what he called a town hall meeting. The meeting was anything but a town hall meeting, but resembled more of a stop on his campaign trail. I have never been to a town hall meeting where the public were not able to express their concerns directly but was instead told to write their questions down on a piece of paper. The questions were hand picked by the mayor as to which he would answer and were then read aloud by a member of his staff. Community members present watched in amazement as the mayor thumbed through questions, his face turned red with embarrassment as he looked for safe questions to answer. 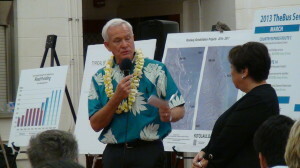 Let it be known that Mayor Caldwell supports an urbanization plan that looks to amend the Oahu General Plan, a plan that would violate native Hawaiian tenant rights of kuleana landholders, rezone state-districted Ag lands in Malaekahana, and rezone Laie as resort community like Waikiki. 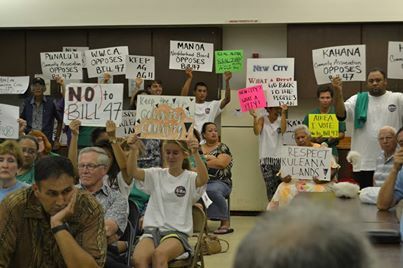 Let also be known that the Ko’olau Loa Hawaiian Civic, Waikane-Waiahole Community Association, Kaaawa Community Association, Friends of Kahana, Punalu’u Community, Hauula Community Association, and neighborhood boards from Manoa to Ewa oppose the urbanization of Ko’olau Loa currently known as Bill 47. Keep the Country COUNTRY! “The ‘presentations’ section was too long. 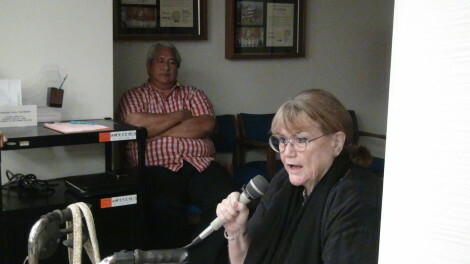 Since our sole 2 lane Kamehameha Highway is a State road, the long pothole story was too long; and we won’t have much to do with Rail and only Laie has a sewer, ( still on federal consent decree that taxpayers now pay for it sounded like, but you couldn’t ask questions until after), a lot was largely irrelevant to most people. Mayor Caldwell whizzed thru one Envision Laie question -again only a written question – and said nobody will be happy with the results, more or less. He focused on a Kahuku has such close ohana tradition plantation camp but too many generations in a house issue to Then you were to talk to the individual staff afterwards- which was difficult physically to stand around to do – and as you waited you couldn’t really hear if the person before you had just asked the same question of that person. 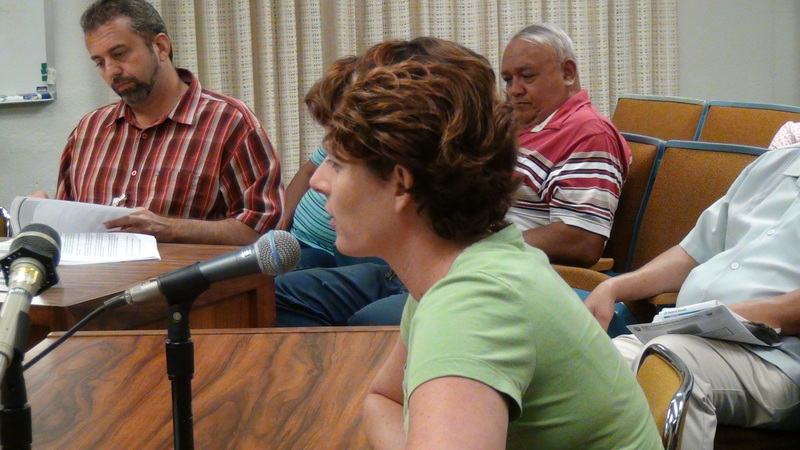 Kahuku Resident: Angela Huntemer: Thank you for filling us in on that – I couldn’t go and was wondering what happened. The week before he took direct questions from the audience at Waialua – because there were hardlly any members of the public. Glad I didn’t have to be the one to find easy questions for the mayor… that would have been difficult. Imua! Hau’ula Resident Joshua Noga: Wow that makes this even more crazy. Caldwell and his staff should be embarrassed by that showing. To not even allow community members to express their concerns directly defeats the very purpose of having a town hall meeting. That’s why we have to call him out on his bs and hold him accountable. We got white washed, and shoved under the pavement below the bus. Two topics bus, and pavement he spent some time on. 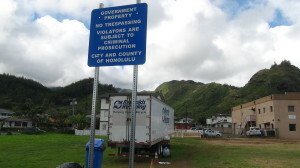 Would have helped if the told the true factor, paving oahu the going rate in construction cost million dollars a mile. Ka’a’awa Resident Andrea Peatmoss: I did not care for the format of it. The questions section needed to be open to all to ask and be answered instead of afterwards. Public content safe this way. No mention of the Ethics Commission investigation I thought he might defend himself or staff regarding either. As for condemnation via eminent domain question, it was “absolutely the last resort ” he said. 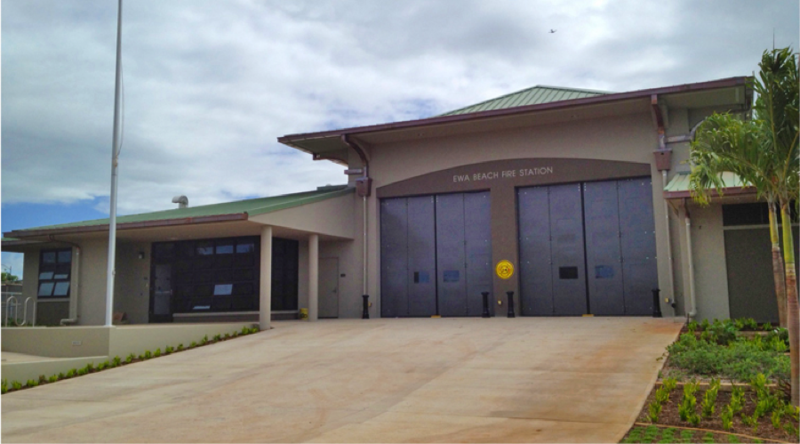 However, knowing how Choon James‘ property is being affected and Hau’ula lost its recycling center via eminent domain for a NEW fire station, I wonder. If we have $20 million, we have $20 million. Allocation is a City decision, right? 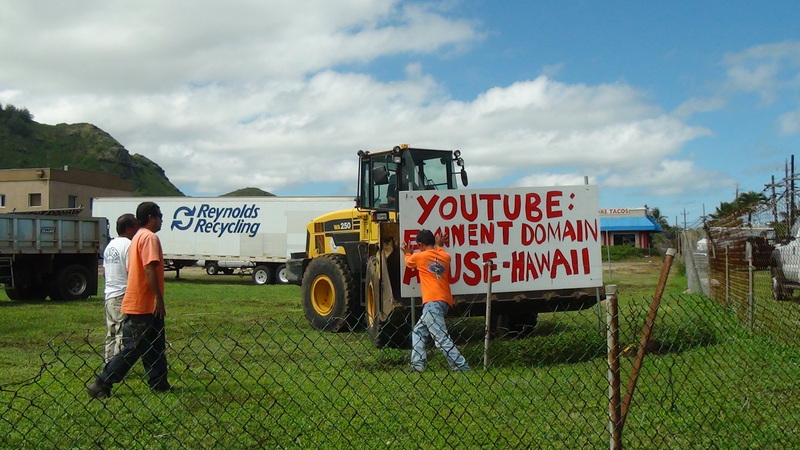 Now we have no recycle center and a temporary golf course owned by private (foreign ) investor in escrow and existing trauma in Kahuku Village of evictions. 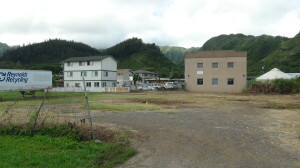 Kahuku had an ‘affordable’ housing plan years ago that never got built. Where did that money go? 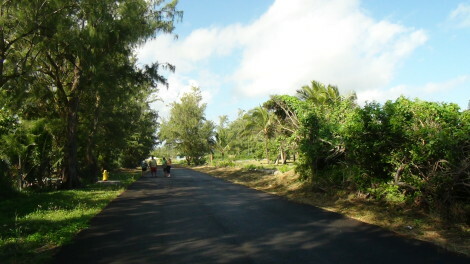 Between that project and the 550 residential units not built WITHIN Laie that have been approved for years but not built, the lack of sufficient dormitory housing on campus for students and the illegal Vacation Rentals by Owners (hundreds near Laie), we have a housing shortage that could be solved without destroying the scenic resources of the Moku and its irreplaceable wild coastline for URBAN SPRAWL. 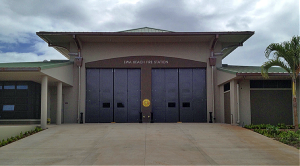 What cannot be solved without huge H-4 type money investment for taxpayers, way over the cost of Rail, is that extra traffic on the sole eroding 2 lane Kamehameha Highway that Turtle Bay Expansion and Envision Laie alone cause. Double the population. 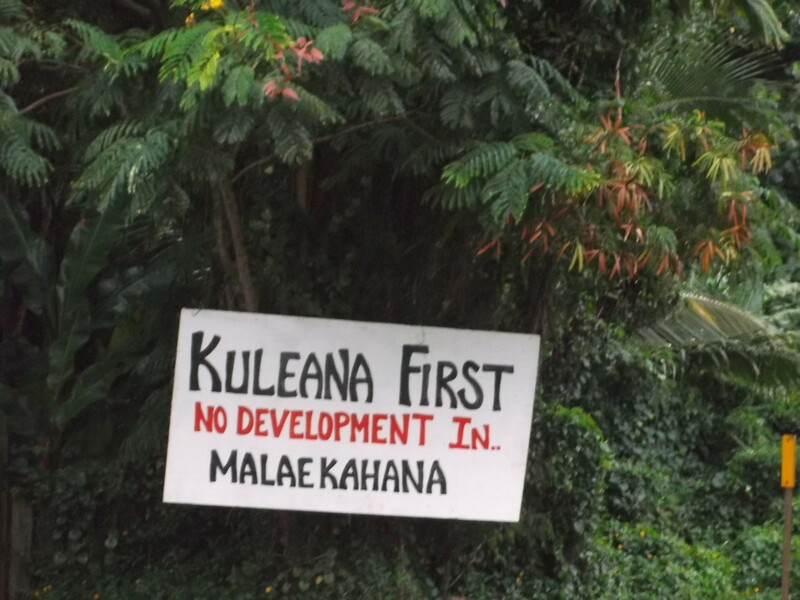 Add to that the expected increase in tourists to 7,500,000 (10,500 a day out here in Ko’olauLoa) and the thousands of already zoned vacant residential lands within the Moku. Do the math! Andrea Peatmoss I did not care for the format of it. The questions section needed to be open to all to ask and be answered instead of afterwards. Public content safe this way. No mention of the Ethics Commission investigation I thought he might defend himself or staff regarding either. As for condemnation via eminent domain question, it was “absolutely the last resort ” he said. 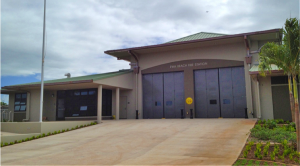 However, knowing how Choon James’ property is being affected and Hau’ula lost its recycling center via eminent domain for a NEW fire station, I wonder. If we have $20 million , we have $20 million. Allocation is a City decision, right? Now we have no recycle center and a temporary golf course owned by private (foreign ) investor in escrow and existing trauma in Kahuku Village of evictions. 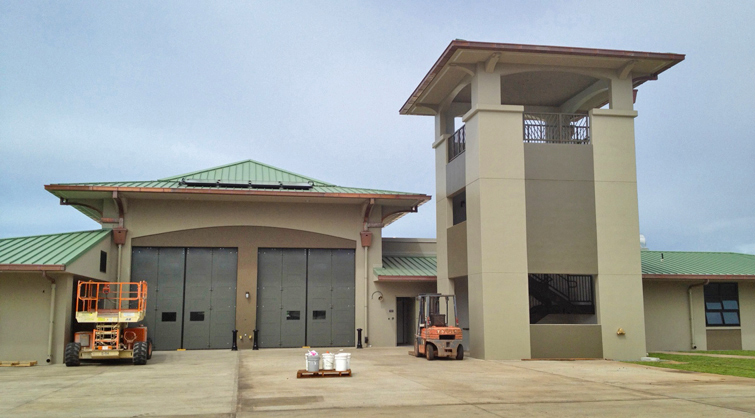 Kahuku had an ‘affordable’ housing plan years ago that never got built. Where did that money go? Between that project and the 550 residential units not built WITHIN Laie that have been approved for years but not built, the lack of sufficient dormitory housing on campus for students and the illegal Vacation Rentals by Owners (hundreds near Laie), we have a housing shortage that could be solved without destroying the scenic resources of the Moku and its irreplaceable wild coastline for URBAN SPRAWL. What cannot be solved without huge H-4 type money investment for taxpayers, way over the cost of Rail, is that extra traffic on the sole eroding 2 lane Kamehameha Highway that Turtle Bay Expansion and Envision Laie alone cause. Double the population. 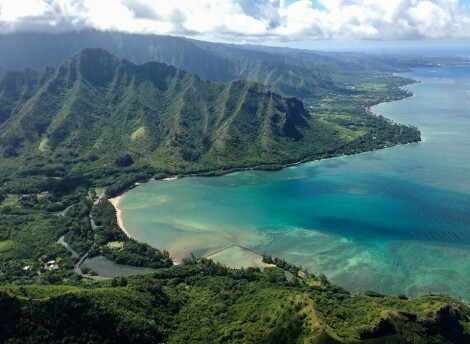 Add to that the expected increase in tourists to 7,500,000 (10,500 a day out here in Ko’olauLoa) and the thousands of already zoned vacant residential lands within the Moku. Do the math! 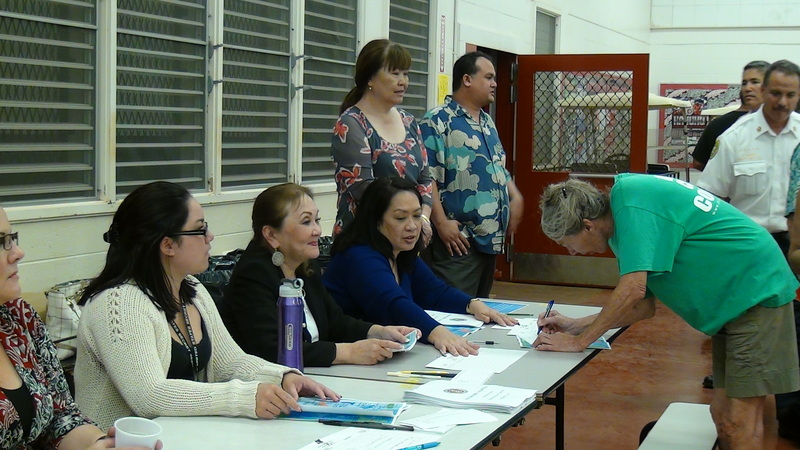 Ko’olau Loa residents in good faith took the time to attend the Mayor’s Town Hall Meeting to participate and engage in a thoughtful dialogue. They wanted meaty civic participation with the Mayor and offered suggestions. What they received was the Mayor’s dog and pony show that provided HIM two hours of free TV air time for HIS perpetual campaign trail. 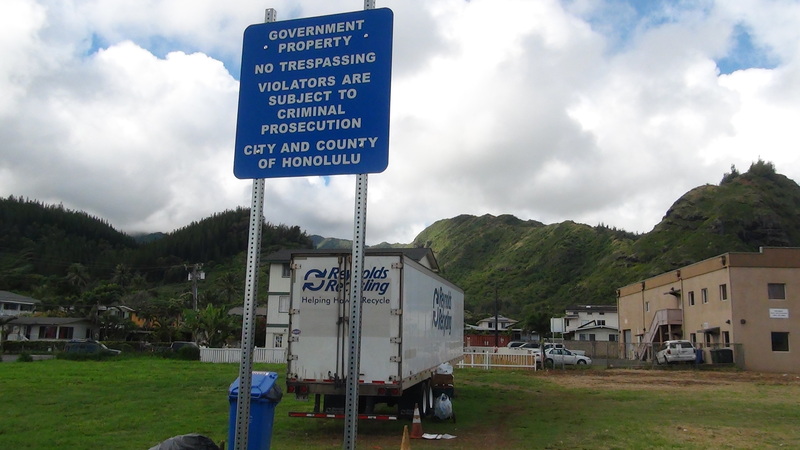 Hawaii Eminent Domain Abuse – Honolulu Mayor Goes Amok on Free Speech and Private Property Rights! on private property on October 18, 2013, again! first raid of the signs on May 29, 2013. There is a federal lawsuit against the city pending. trial is set for March 2014. Mayor Caldwell’s threats and intimidation are grossly premature and illegal. On October 21, 2013, the Mayor rampaged further by posting signs on the private property to threaten Reynolds Recycling into closure. 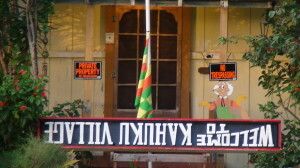 The threatening sign was posted in the middle of the entry way to the business. 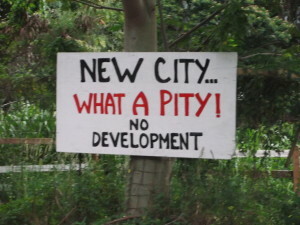 The problem is the city does not own this lot! The city owns the adjacent lot below but it has no posted signs of any kind at all. 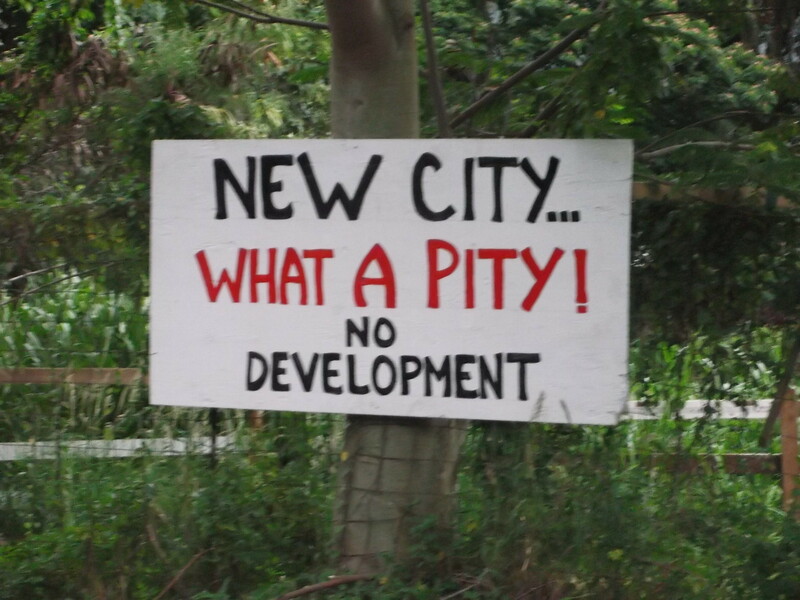 Maybe after the Mayor has been exposed, he’ll post a similar sign on this city-owned lot to appear even-handed. But it’s too late. His browbeating and abusing the office of the Mayor’s office are too evident. 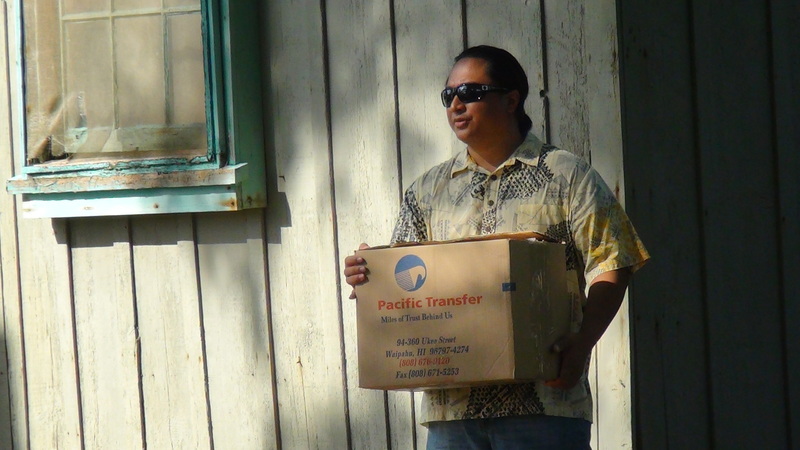 Does Hau’ula need a recycling center? What do you think of the Mayor’s illegal activities?